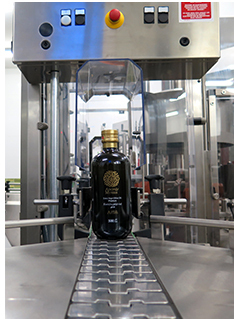 Our bottling process is a regional first for the olive oil industry. Based on Italian Alfatek technology, it is the most advanced filling and bottling solution. This provides incredible product protection by preventing the introduction of air and by preserving the authentic tastes and flavours. 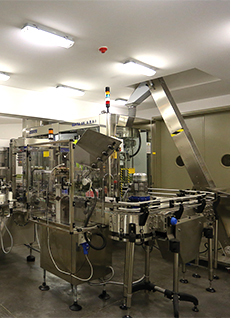 The whole process, from filling to corking, is fully automated, ensuring optimal hygiene and sealing. Our process prevents air from getting into the bottles. Instead any trace of air is replaced with inert gas (a harmless gas with no smell and taste). The technology acts inside the filling tank, eliminating air and injecting inert gas at a light pressure. It effectively pre-evacuates air from the bottle and promptly injects inert gas immediately before the corking. This ensures the premium olive oil doesn’t undergo oxidation. Our special bottling process is key to preserving Adon & Myrrh’s exceedingly pure taste and distinguished flavours. The result is a perfectly bottled product with an oxygen level almost zero, without any loss of taste and flavours. Quality is Adon & Myrrh’s essence. It is the seed that blossoms into an end product which is refined and memorable. To keep this signature taste, we store our olive oil with meticulous care. 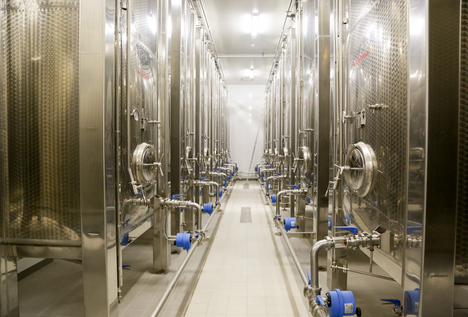 We keep it in stainless steel tanks with a regulated temperature of 12-17 degrees Celsius during the whole year. We take great measures to ensure the oil doesn’t come into contact with air, minimizing oxidation. This maximizes the health benefits, taste and your satisfaction.